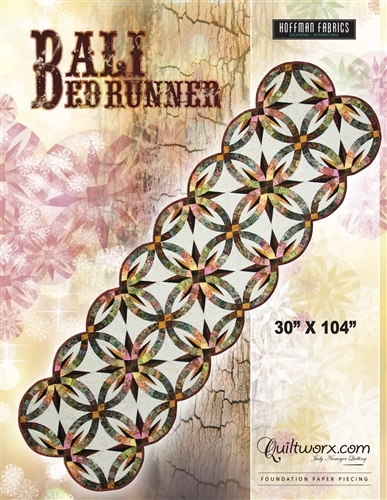 The Bali Bed Runner is a smaller version of the Quiltworx Bali Wedding Star quilt pattern. The Quiltworx 2 1/2″ strip sets are specially designed for Judy’s DWR projects. Or be brave and choose your own fabrics!